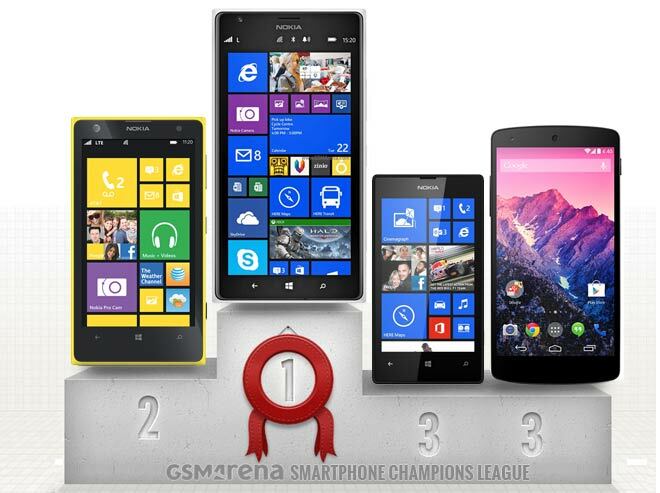 Time to break out the champagne and celebrate the first winner of the Smartphone Champions League, the Nokia Lumia 1520. The first Lumia phablet had a lot to overcome some high-profile challengers, including its Lumia 1020 sibling at the end. We’d like to thank the dedicated fans that swayed the results and several times gave us some surprising turnarounds. We had no influence over the results, other than selecting the top 32 devices in our database, the winners in each round were determined by your votes. It was exciting to see fans band together to support their device of choice. Keep in mind this was all for fun, so please don’t take it personally if yours didn’t win. There will be a second tournament at some point in the future with new devices and probably some of the old ones, so you might get a second chance. Let’s recap how the Nokia Lumia 1520 got to the final. It started off with relatively easy marks like the Samsung Galaxy S4 mini and the Lumia 720. The first real challenger came in the face of the Sony Xperia Z1. Then at the semi-finals the Lumia 1520 was back to sibling rivalry, facing off against the Lumia 520 (this device alone is a third of the Windows Phone market). 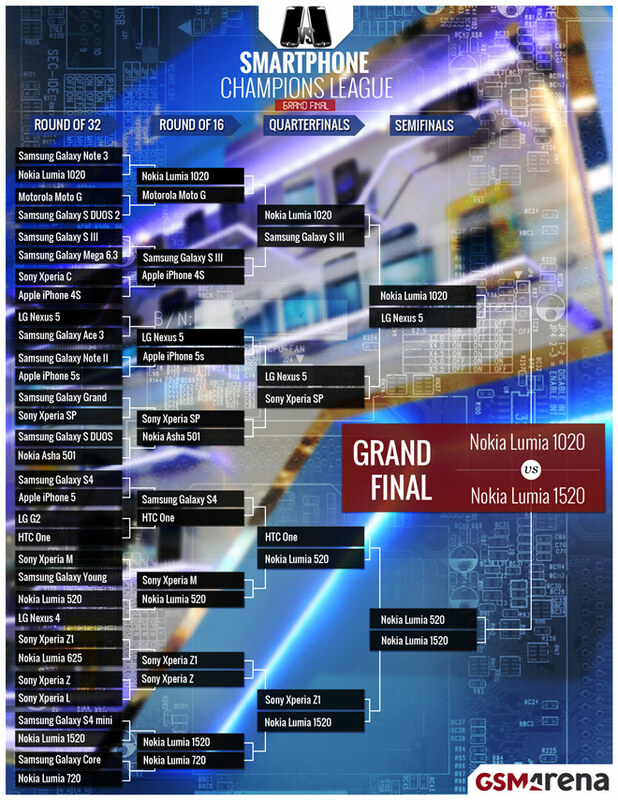 Our other semifinalist, the Lumia 1020 had a much tougher path – the very first match was against the highly popular samsnug Galaxy Note 3, then came the Moto G, the Galaxy S III (a favorite from last year) and finally the Nexus 5. There was a rally behind the Nexus, but the Lumia eventually prevailed, only to lose in the final round to its newer sibling. We’d like to thank again everyone who voted for making our first Smartphone Champions League so fun and exciting!